Daisy Whitney is a new-media producer, a reporter, and an internationally known web show creator. The Mockingbirds is her debut novel. She graduated from Brown University and lives in San Francisco, California. If my novel The Mockingbirds were made into a movie, I would absolutely, positively want Emma Stone to play the lead character Alex Patrick. Emma has the perfect blend of tough and vulnerable and that's what's needed for Alex as she presses charges against her assailant through the student-run underground justice system at her boarding school. I'd always had her in mind for the lead role if my book became a film and seeing her in Zombieland solidified my pick. She has quite the range and I think that's what's needed for this role. Opposite her in the role of her eventual love interest of Martin I could see Josh Hutcherson, who starred in Bridge to Terabithia a few years ago to launch his career and then played one of the teen kids in the recent hit flick The Kids Are All Right. Check him out! He's a perfect teen love interest! Eileen Cook's "The Education of Hailey Kendrick"
If they make my book, The Education of Hailey Kendrick, into a movie, deciding who I would want to play the lead roles is difficult. First I have to eliminate all the actors I want to meet (Johnny Depp, Colin Firth, Helen Mirren) just because I would find them interesting, versus because there was actually a role for them. Then there is the challenge that unlike some authors, I don’t write my books with an actor in mind. In my mind the characters are real people, it’s like asking who you would want to play your parents if they made a movie of your life. There might be an actor that reminds you of your parents, but it isn’t the same as the real thing. I suspect this is why authors aren’t always invited onto movie sets. We’re constantly confusing our imaginary world with reality. Despite all the problems of confusing imagination with reality, I had fun searching IMDB for the perfect cast. Emma Roberts would make a great Hailey. She has that all-American girl next door look, but I can see her as having enough of a sarcastic side to pull off Hailey’s humor. Taylor Lautner from Twilight fame is a good Tristan. This character is supposed to be from a big Hollywood family so his good looks and comfort in front of a camera would be perfect. Zac Efron would be another option, but his hairstyle drives me nuts (I would want to constantly push it out of his eyes), so I’m going to take a pass on him. Hailey’s best friend could be played by anyone, her looks aren’t described in the book, but I would love to see an actor of color in the role, maybe someone like Jennifer Freeman or Erica Hubbard. The actress that plays her needs to be able to pull off someone who might seem shallow at first, but is a loyal friend. The character of Drew I can see as the not well known, but perfect for the part, Alex Pettyfer. He has a perfect blend of a touch of a bad boy blended with general dreamy-ness. While this is my perfect cast, I’m open to suggestions. Heck, I’d even take Zac Efron, but we’re going to have to do something about the hair. Alyxandra Harvey lives in a stone Victorian house in Ontario, Canada with a few resident ghosts who are allowed to stay as long as they keep company manners. She loves medieval dresses, used to be able to recite all of "The Lady of Shalott" by Tennyson, and has been accused, more than once, of being born in the wrong century. She believes this to be mostly true except for the fact that she really likes running water, women’s rights, and ice cream. I don't picture actors and actresses in my head when I write a novel. The characters usually walk on stage fairly actualized and they get cranky if I try and interfere too much. But once the book is done, or at least when it's well formed already, I do like to play around with casting the imaginary movie version. I even have links on my website for the Movie Game because I love hearing readers' choices. In fact, it's because of two readers who made their own movie trailer version of Hearts at Stake that I found my Lucy and my Nicholas. I would be thrilled to pieces if Tim Burton wanted to direct and if the folks involved with the beautiful sets of the Harry Potter films could join in that would be grand. Especially if I could take some set pieces home afterwards! So here goes, The Drake Chronicles as cast by me...with full disclosure that this isn't how they appear exactly in my head, they just happen to share a certain quality (look, voice, charisma...). This is especially true if the actor is now in his or her thirties but the character is 17! I think Violet Willoughby could be played by Leighton Meester and Colin Lennox by Aaron Johnson III. Learn more about The Drake Chronicles at Alyxandra Harvey's website. Caroline Leavitt's "Pictures of You"
Caroline Leavitt's novels include: Girls In Trouble, Coming Back To Me, Living Other Lives, Into Thin Air, Family, Jealousies, Lifelines and Meeting Rozzy Halfway. 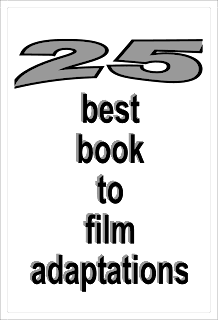 Various titles were optioned for film, translated into different languages, and condensed in magazines. Ha. You know what? I almost never ever cast movies of my books. I’ve had my heart broken by Hollywood one too many times (ask me about the three days Madonna was considering making my novel Into Thin Air her directorial debut and you’ll see what I mean) to get that far in my daydreaming. However, I almost always imagine the cameo that I myself would play. For Pictures of You, I know exactly whom I want to play. I want to be the waitress at the diner, my hair in a ponytail, snapping gum, a little black apron tied at my waist. I want to be the waitress who serves a weeping Isabelle food she doesn’t eat, and who later chastises Charlie for asking about Isabelle, saying, “You two deserve each other.” I know I could do a great job, plus I have a soft spot for waitresses and diners and try to include them in every novel I write. 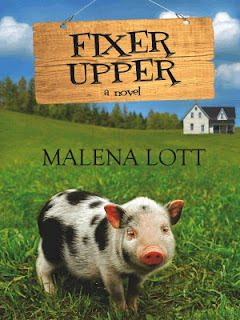 Malena Lott is an award-winning writer and the author of three novels. Her latest release, Fixer Upper, is available in the Kindle store and will soon be available at other e-retailers. She resides in Oklahoma with her husband, three kids and a dog and readily admits to watching The Holiday and Love Actually every Christmas. Jennifer Connelly would make an incredible MACY THOMPSON BAXTER, the protagonist in my humorous third novel, Fixer Upper, who leaves the posh life for the pastures when her husband, U.S. Senate hopeful Trevor Baxter, misses her surprise birthday party to work on his campaign instead. The dashing, debonair Trevor would be none other than cutie-patootie Greg Kinnear, who really does handsome jackass like no one else. Back at Dust Bowl Vineyard and Winery in Wakefield, Oklahoma, we have an amazing group of women Macy can turn to as she starts renovating her life with her hot pink toolbelt, one villian and two guys who are very happy to see Macy back home. Finally, the director would be Nora Ephron (of course! Sleepless in Seattle). She's so witty and fabulous and spot on. Visit Malena Lott's website and blog. Milton T. Burton's "Nights of the Red Moon"
Milton T. Burton is the author of Nights of the Red Moon and two previous crime novels. He has been variously a cattleman, a political consultant, and a college history teacher. Burton lives in Jacksonville, Texas. Bill Crider, author of the Dan Rhodes mysteries, writes: "Milton Burton writes about East Texas with wit, spice, and insight. His Caddo County sheriff, Bo Handel, has a shrewd mind to go along with his fancy pistol. He's the kind of man Sheriff Dan Rhodes would share a Dr Pepper with any day." As for playing the lead role, were he twenty years younger Dabney Coleman would be perfect for Bo Handel. I had no actor in mind. I write about the sort of people I know from my own East Texas environment, and if one of my books is ever made into a movie some actor can tailor himself to that rather than the other way around. Matthew Gallaway's "The Metropolis Case"
Matthew Gallaway is a writer originally from Pittsburgh, Pennsylvania. He now lives in New York City. In terms of living directors, my dream pick would be Pedro Almodóvar, because his films are filled with the kind of music, color, memory, and magical coincidence that I tried to infuse into The Metropolis Case. I also love Almodóvar's female leads, who as a rule are strong and beautiful in ways that are both conventional and not, and I would completely trust his judgment in terms of casting the female characters in my book. If I could go back in time, I would pick Luchino Visconti, whose best films also have a lush, dream-like quality that I would love to see in any visual adaptation of the novel. I also love Helmut Berger and Romy Schneider, both of whom appear in several Visconti films and act in ways I find to be beautiful and uncertain at the same time, which I think are traits that would be ideal for my characters, who tend to be searching for answers to "big questions" in life. Finally because I just saw her in an amazing John Cassavetes movie called Opening Night, I'll mention Gena Rowlands, whose combination of high-level glamor and tragedy would (again, in my fantasy world, going back in time) be perfect for either of the female opera singers or "divas" in my novel. Read an excerpt from The Metropolis Case, and learn more about the book and author at Matthew Gallaway's website. The Page 69 Test: The Metropolis Case. Daniel H. Wilson's "A Boy and His Bot"
Daniel H. Wilson is an engineer who earned his PhD in robotics at Carnegie Mellon University. His books include Bro-Jitsu, How to Survive a Robot Uprising, Where's My Jetpack? and How to Build a Robot Army. A Boy and His Bot takes place in an experimental world populated entirely by robots and abandoned for the last thousand years. The movie will have to mix live-action and plenty of computer-generated effects. That said, Code Lightfall (the "boy") explores an incredible (and incredibly dangerous) new world with its own set of rules. The mechanical inhabitants of this place don't know or care much about human beings. The actor Max Records, from Where the Wild Things Are, definitely has experience with this situation. As for Gary (the atomic slaughterbot who accompanies Code on his travels), well, he should obviously be voiced by Forest Whitaker. Because every movie is better for having a little Forest Whitaker. Learn more about the book and author at Daniel Wilson's blog. Jon Talton is the author of eight novels, including the David Mapstone Mysteries: Concrete Desert, Cactus Heart, Camelback Falls, Dry Heat, Arizona Dreams and South Phoenix Rules. One of the most important characters in the David Mapstone mysteries is Phoenix, so filming it to capture the true sense of the city would be critical. Much of the city is flat and low-rise, so camera angle is important. Yet there are also mountains, a skyscraper corridor, Mapstone’s historic neighborhood and all the sleazy parts of town, from the linear slums to rich-trashy Scottsdale. I have more opinions about the female characters. Lindsey is strong, complex, quietly poetic, a high-functioning fighter against demons. In my mind, I see her as Carrie Anne Moss. My wife, Susan, disagrees and would go more for Claire Danes or a complete unknown. It would depend on the book, of course, because the characters age through the series. In South Phoenix Rules (and Arizona Dreams), there’s also Lindsey’s half-sister Robin: tougher, with a hard past and secrets. Definitely Naomi Watts. David is somewhat older, bookish, thoughtful but capable. David is also a stylish dresser, in the old-school way of suits and ties. Liam Neeson is too old, but he’s the type. George Clooney, if he could look a little less handsome. Or Clive Owen. Susan Fraser King's "Queen Hereafter"
Susan Fraser King is a multi-published, bestselling, award-winning author and a former art history lecturer. She holds a B.A. in art and an M.A. and most of a Ph.D. in art history, with postgraduate work in medieval studies. Her books are widely praised for historical detail and a lyrical writing style, and she has won multiple honors and awards for her novels. If they made my novel Lady Macbeth into a movie... Gruadh, a young, strong, spirited Celtic queen, would be perfectly rendered by Keira Knightley or Sophia Miles, who would each bring a different but illuminating quality to the young queen; Ewan McGregor would be a great Macbeth, a blunt yet savvy warrior in his prime, as portrayed in the novel, and Ryan Reynolds could do that too, provided he could do a suitable British or even Scottish accent! For Margaret of Scotland in Queen Hereafter, I’d choose Nicole Kidman; though she is a bit older than Margaret in the novel, she would be perfect for the role otherwise. She blends fragile and stubborn beautifully, and Margaret is said to have been tall and fair and was likely quite intense. Gerard Butler could pull off King Malcolm Canmore’s gruff, blustering, coarse but intelligent character. For Eva the bard, dark-haired, sensitive yet tough, I'd choose Kristen Stewart or Keira Knightley again, as she plays historical young women with backbone so very well. Learn more about the books and author at Susan Fraser King's website. Writers Read: Susan Fraser King. The Page 69 Test: Queen Hereafter. I would love to see Mad Skills adapted into a movie, because the novel is a bit of a commentary on Hollywood action flicks. Like all my work, it’s deliberately cinematic, and unlike my Xombies books it could probably be done on a comparatively low budget. My ideal director for it would be someone with a powerful visual sensibility and a flair for harrowing action scenes, yet also someone who could really explore the heavy emotional terrain of Maddy’s dark journey…while not neglecting the humor. When I think of all those elements combined, I think of something like Children of Men, directed by Alfonso Cuarón—he would be a great choice. Also ideal would be Guillermo del Toro, who directed Hellboy and Pan’s Labyrinth. In terms of actors, the lead role of Maddy Grant would have to go to an actress young enough to play the 15-year-old Maddy as a ditzy teen, but also mature enough to play the 17-year-old post-operative Maddy, whose artificially-enhanced brainpower causes her so much grief...and grants her so much power. My book describes Maddy as “pale, gangly-limbed, and freckle-faced,” so the actress playing her should be that type. Someone like a younger Emma Stone (Easy A), or a much younger Molly Ringwald. But whoever it is would have to have soul—the ability to go dark…and shave her head. Though I haven’t seen the new version of True Grit yet, directed by the Coen brothers, I’m betting a great choice would be its lead actress, Hailee Steinfeld. For that matter, I’d love to have the Coen brothers direct Mad Skills!